Three Peterborough schools were given a hands-on breakfast experience during Kids Country’s Breakfast Week. From making pancakes and sausages to meeting a real life farmer, children at Braybrook Primary School, Dogsthorpe Academy and Farcet C of E Primary School where taught how to cook their way to a healthier start to the day. Kids Country visits schools for Breakfast Week to encourage children to understand the nutritional value of their food and to give them the chance to experience the whole farm to fork process. Member and Community Relations Officer at Central England Co-op Kym Hunt said: “We were delighted to once again support Kids Country and National Breakfast Week following the success of the partnership in previous years in raising awareness of the health and nutritional benefits of breakfast. 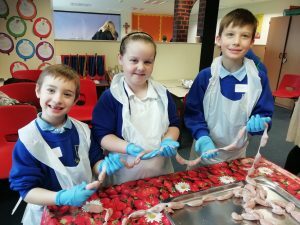 Deputy Head Teacher at Farcet C of E Primary School Nicola Martin said: “The children loved all the activities on offer and learnt so much about how their food gets from the farm to their plates. With such high demand for the Kids Country Breakfast Week there are now plans to run another Breakfast Week event later in the year! To get your school booked into the next Breakfast Week head to www.kids-country.co.uk/event/breakfast-week/ or call 01733 234451. View all of our events that take place throughout the academic year. Find out about sponsorship of our events. 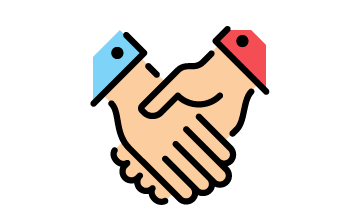 Get involved with volunteering opportunities.